If you are concerned about respect, excellent financial rewards, prestige, and great prospects, CA is a perfect profession to start with. Chartered Accountants are the people to create a difference and wherever they work, they create something relevant and different as well. They are talented, ambitious, and in demand. 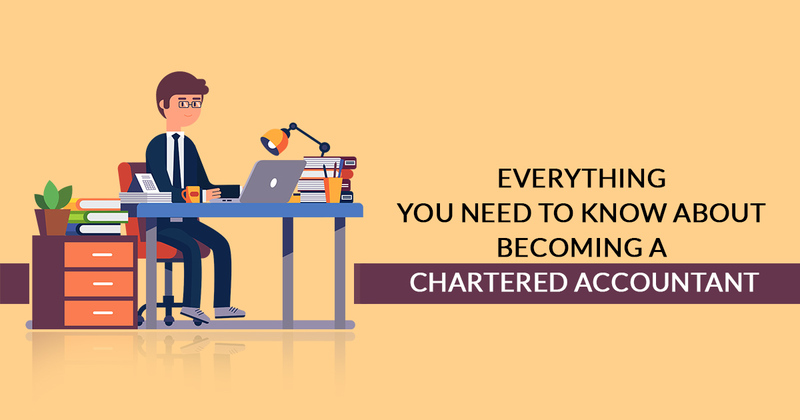 Working hard to become a chartered accountant will make you different and becoming Chartered will make a unique way for business training and traditional accountancy. The qualification of CA is globally respected and prestigious that will adore with skills, values, and knowledge for which many look after and want to become the highly regarded business professionals also. The qualification of CA includes relevant practical experience along with the professional study. To learn about the CA qualification, you need to fit into the ICAS’ entry requirements for this route. If you have the plan to build a career in accountancy, finance, and business, then Chartered Accountant is the way to reach there. The stereotype thought is that the CA is a dull and boring professional. Although, the reality is very different. As a chartered accountant, you will learn what is required to make a business keep running. ICAS CAs play a very important role and they have amazing careers too, they work from the Rio Olympics to top brand names and build a strong business environment. The degree with ICAS Chartered Accountant (CA) opens various ways for a personality. After completing highly respected CA qualifications, you can start working in various firms like a business, finance, and accountancy. To pace with the global financial centers, government bodies, accountancy firms and becoming a CA plays a way to success. The chartered accountancy also provides a perfect way to set up your own business. Companies in respect of the size, require a chartered accountant. Chartered accountancy is considered as the recession-proof professions in the UK. if you decide to become a chartered accountant, your career is secure and stable with strong demand for skills. The demand for CA is not only limited to a home country but also in a foreign country. The ICAS CA qualification is respectful all across the world. Now, more than 14% of ICAS members are working in a foreign country. So, the CA career has a wide scope. From the starting phase only, CA earns a good amount of salaries as compared to the banking, general management, and law based persons. With the qualifications, you can make from £26,000 to £50,000 in a year for the decide career path. Future salary perspective for CAs are also good and as per the recent salary survey, above 40% of ICAS members have received an above-inflation pay rise in the year 2015. Numbers are important for a chartered accountant. Although, this is not the fact that they only deal with numbers. CAs are trained to meet the broad skill set. Further, they build a different set of skills and can run their own business as well. They also motivate, lead, work on existing projects of bigger brands and horn the negotiation skills regarding the multi-million-pound deals. Dealing with a number is just a starting phase as further you have more choices in career also. Now, 45% of students are females and consist 35% of the current membership. Career aspects are also nice and around 60% of finance executives agree to more opportunities for females in accountancy than previous. Female members have also achieved a good remark such an as entrepreneur Kirsty Dingwall CA running an independent business, entrepreneur Kirsty Dingwall CA is CEO of PURE Spa and Beauty, and Laila Giwa CA is Head of Finance (EMEA and India) at Skullcandy. The hard work and ambitions are important to pay dividends. All the required knowledge is taught to CAs in the basics of finance and accountancy which build a strong basis for you to deal with the course and work. Instead history of ICAS is Scottish based, this is not a Scottish Institute. It is a first professional accountancy firm, founded in 1854. From the day of establishment, it has created a spread and turns into a professional community in India and across the world as well. There is no need to go to university, you can become a CA after finishing school, although you must be having an A-level or higher scorecard to show up. This way makes it complete in five years. At the same time, they are trained to get experience with an ICAS authorized employer. There are also ways to dive into CA career after finishing the school and take part in the business world. Being a CA, the recognition and respect can be acquired easily. Wherever you go, the peers, employees will always be appreciating you for capability, dynamics, versatile business thoughts, and forward thinking. So, if you thinking to start your career as a CA professional, go ahead without putting a second thought in mind. Finally, if yours directing towards the CA-based vast career and professional by origin, you have stopped at the best point as out CA Portal provides you with the best of the knowledge and resources regarding chartered accountant and to help you towards outreaching your client in a better manner via online platform. What is the Difference Between Accounting and Law? Thank you, I will try these on the weekend.